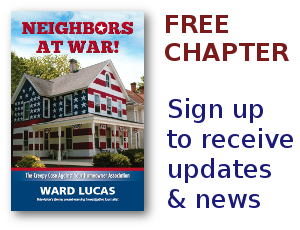 Realtor Archives - Page 101 of 101 - Neighbors at War! 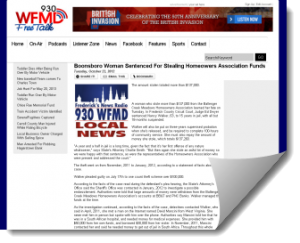 Do HOA Embezzlement Stories Bore You? 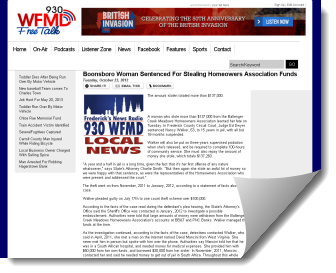 3 Comments on Do HOA Embezzlement Stories Bore You? The Good Lord knows I don’t want to bore readers of my blog posts! But my feeling is that there are so many HOAs being victimized by embezzlers, that the name of every HOA crook ought to be publicized far and wide. These crooks are not only rotten people for stealing, but they’re stealing from neighbors who put them into positions of incredible trust. In many cases, they’re stealing from elderly retired people who just can’t afford to pay special assessments to cover the HOA’s losses. How Would You Like To Live Next To THIS Nightmare? 2 Comments on How Would You Like To Live Next To THIS Nightmare? San Clemente is a picturesqe California coastal town. But the big local controversy is a huge condo complex that went bankrupt five years ago. The empty building attracts rats, drug dealers, and has a massive impact on other homes in the Timbers at Towne Center Homeowners Association. Homes worth nearly $300,000 a few years ago now sell for less than $150,000. That is, when they can sell at all. Homeowners say they occasionally get interested buyers. But they’re chased away at the thought of living next to a garbage dump. The city can’t do anything. Banks won’t lend money. No Comments on Embezzle! Embezzle! Embezzle! Oh yes, embezzling is endemic in American Homewers Associations. Just Google “homeowner association and embezzle.” Then stand back and watch the numbers. The latest one is Dale Palmer, a Kansas City man who managed HOAs in Kansas, Missouri, Illinois and Wisconsin. This creep thought he could get away with embezzling more than 750,000 dollars. He’s going to prison for 46 months, but that’s a laugh. He’ll get off about two years for good behavior. Don’t count on it, folks. Imagine for a moment that your company has transferred you to California’s Central Valley. Lots of warm days are in your future, you get a chance to dry out from all the rain and snow in your old home town. Your Realtor has been driving you around several neighborhoods in Angels Camp: Saddle Creek Resort, Copper Cove and the little community of Copperopolis. Suddenly you see it! The house of your dreams! The yard is nicely kept, the rooms are large, the last owner has really taken good care of the place. “What’s the neighborhood like?” you ask the Realtor.